The holidays can be a very stressful time of the year. Aside from all the gift shopping, party planning, and calorie intake strategizing, a girl must also meticulously plan out her holiday outfits. After all, you're going to see and be seen the next couple of weeks. You'll be meeting new people, reuniting with old friends, or perhaps even running into ex-boyfriends and others you don't necessarily want to see. A chance encounter with an ex at a party is pressure cooking stressful. You need to act civil and well-mannered because you're in neutral territory and yet you can't help but want to gouge his eyes out. Instead of whipping out your stun gun and risk an embarrassing mug shot, simply stun him to death in a stunning holiday dress. I've compiled a few of my favorites to get you started so that you can go ahead and flaunt all you've got in front of him. Because the best (and only) way to run into an ex-boyfriend is to look absolutely fabulous. One last thing. You need to wear sky high stilettos for this plan to work. The extra five inches will give you height, perfect posture, and a sense of tall person confidence. However, an inherent quandary exists in wearing such high heels: uneven walking caused by pain and instability. The plan would go up in smokes if you're limping toward the guy instead of gliding like Grace Kelly. So, make sure you wear shoe inserts with the stilettos. LOL. what a fantastic post. love your dress picks. and no, no fun running into an ex. i don't want to see him - EVER! 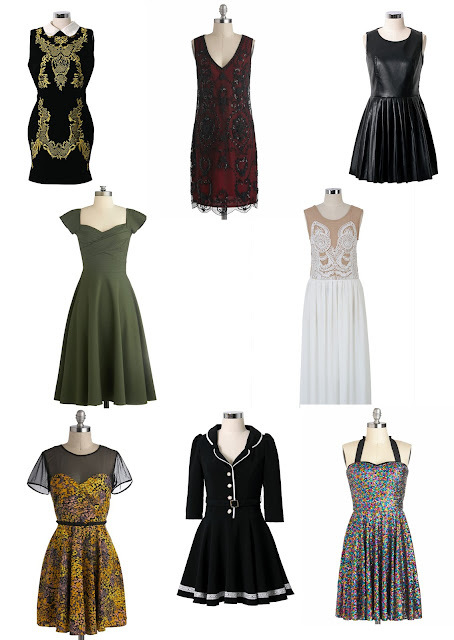 Love the warehouse & modcloth dress! Love the black dress with the mesh part! 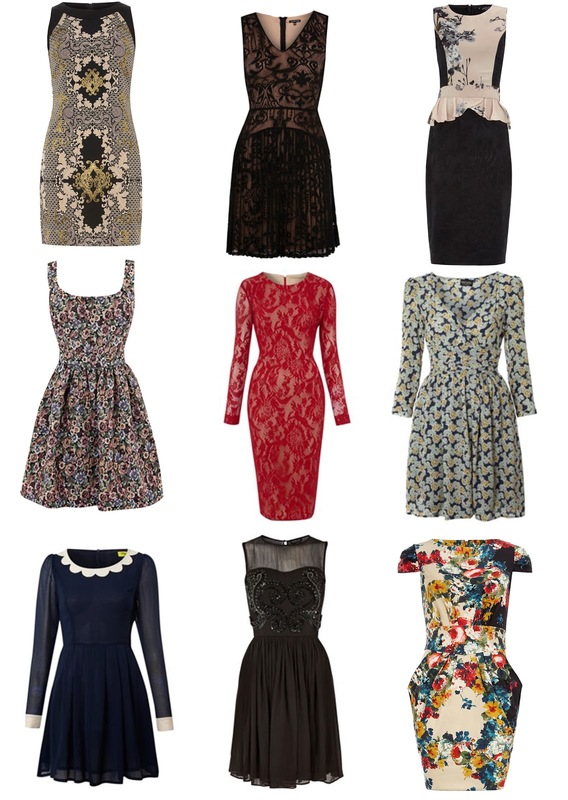 You have shared an awesome collection of dresses. All are marvelous. Like all of them and love to have one of them. I will bookmark your post and share with my friends. Thanks for sharing.